Gaijin Entertainment announces the impending release of a new playable nation for the vehicular combat MMOG War Thunder. War Thunder Update 1.69, called ‘Regia Aeronautica’, will introduce Italy as the sixth playable nation, represented with its own vehicle tree, alongside USA, Germany, Great Britain, Japan and USSR. This is the first new nation to be added to the game since the launch of War Thunder. “With the addition of Japanese Ground Forces at the end of last year, all of the game’s nations are now represented with more than 800 aircraft and ground vehicles in total, early testing of Naval Forces is full steam ahead and very soon War Thunder will feature a new nation. We will add more than 20 new Italian vehicles and update the existing models, so Italy will be represented with several dozen aircraft on its launch,” says Kirill Yudintsev, Creative Director of Gaijin Entertainment. 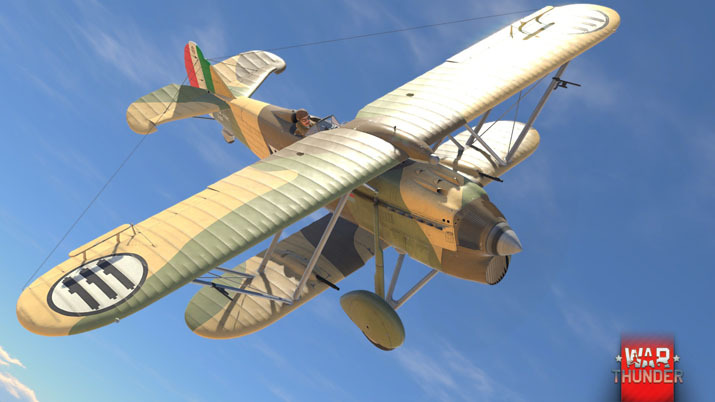 Italy’s initial aviation lineup consists of several dozen aircraft, ranging from the famous light and maneuverable Italian biplanes of the 1930s to post-war Jet aircraft. Among those machines is the Fiat CR.32, one of the most mass produced aircraft employed by the Regia Aeronautica at the beginning of World War II. This robust all-metal biplane can withstand serious damage and even carry bombs into combat - a feature that allows it to temporarily act as a light attack aircraft instead of a fighter, either to destroy light ground units or suppress the enemy’s anti-aircraft resistance. Another symbol of Italy’s aviation besides the CR.32 are its famous heavy three-engine bombers, which will also be featured in War Thunder right from the start. Next to the well-known SM.79 Sparviero (the ‘Sparrowhawk’), other indigenous three-engine designs will be included, such as the CANT Z.1007bis Alcione, or ‘Kingfisher’. Although the latter was mostly overshadowed by the mass produced ‘Sparrowhawk’, it exceeded its counterpart in both speed and maneuverability and could also be equipped with a heavy 840 kg torpedo. This will make it especially useful as an attack aircraft in the coming full-scale Naval battles. 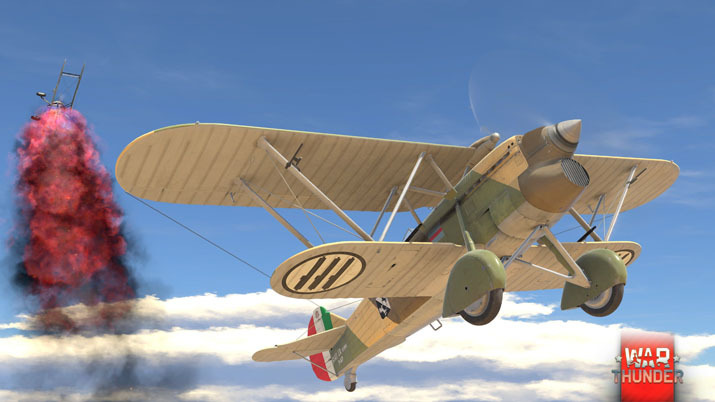 Read more about the incoming Italian machines in War Thunder’s developer diaries here.